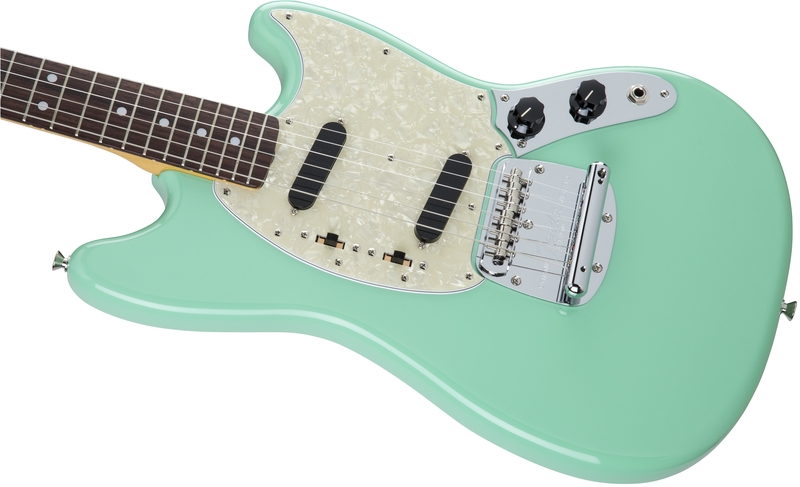 Is Fender Japan still making das Mustang? It would appear so. They should never stop making Mustangs in Japan, it would be wrong. It's an important part of the history of that model. I don't think they ever did stop. They're just not exporting them (or any other MIJ models). That blue one is ugly IMO. Looks like a cheap knockoff. I like the green one but a pre-shrunk pickguard on a brand new guitar looks so wrong. They have some at Thomann. The CAR one wasn't even on the Japanese site. I've always thought that for everything Fender. Like, there's the custom shop in USA where you can get any configuration, well made, for a huge fee. And there's Fender Japan, who are probably making every configuration anyway, well made, for a bargain.